As long as I can remember, I have always enjoyed reading quotations written by my favorite authors, political and socially active leaders, as well as those few unknown individuals. A quote can capture a thought or express a fact in a way that either has a certain punch, is eloquently stated or contains a distinct humor that gets a mundane opinion across in an exceptional way. 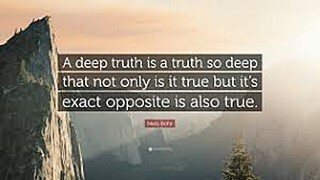 A quote usually touches upon a universal and everyday truth that, although simple, is difficult to express in a unique way. Which brings me to my weekly insights. When I first became the managing editor of The Windham Eagle, I looked forward to writing this weekly column and I continue to do so. I have always enjoyed taking a closer look at life around me, tousle through the observations that come my way and then come to a little lesson that helps me on my way for daily living. It is my hope, as a writer, that it helps the reader in some way too. I must admit, I struggle a bit from time to time with this column. It’s not that I lack for words to express my thoughts, because I have plenty. However, I know that while I put my reflections on paper, there is more to what I consider. I know that when I write my truth as I have learned and perceived it; there is another side to the story. So, while I express an insight that usually holds a “glass half full” perspective, I am aware the other side exists. And this is where the difficulty lies. As tough as it is to write with the paradoxical truths in mind, I have decided that I will continue to wear my rose-colored reading glasses and let Pollyanna have her way with me.